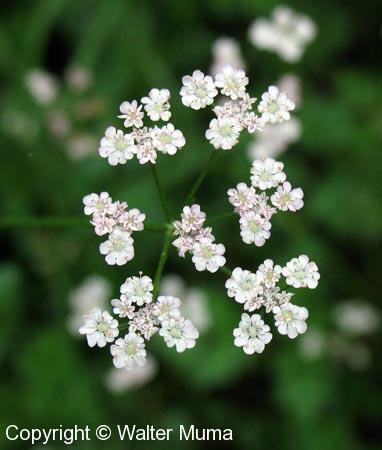  Spreading Hedge Parsley (Torilis arvensis) - lacks the pointed bracts at the base of each umbel. 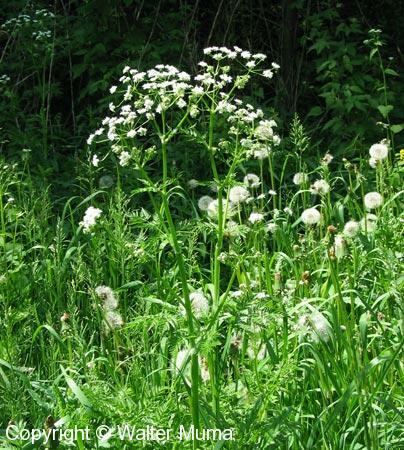  Bulb-bearing Water Hemlock (Cicuta bulbifera) - Grows in wet areas; leaves are fine and very narrow.  Wild Carrot (Daucus carota) - Smells like carrot; flowers are in one large usually flat-topped dense umbel. 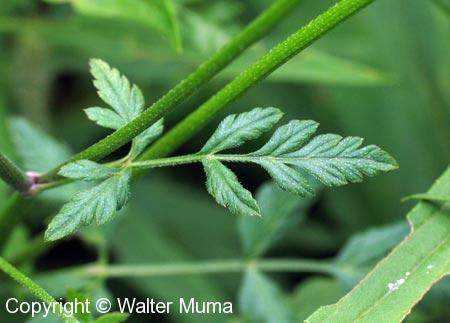  Poison Hemlock (Conium maculatum) - leaves are not as delicate; flower umbel denser. 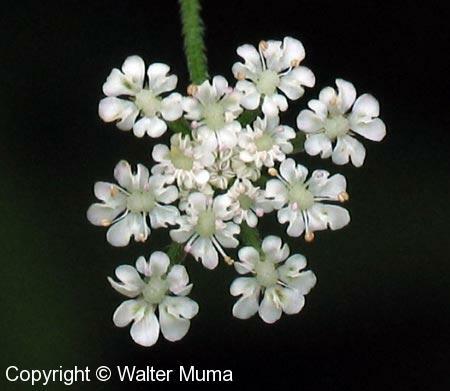 Flowers: Summer; White; 5 parts (petals); Two or more pointed bracts at the base of each umbel. Leaves: Alternate, Compound, Toothed; Pinnately divided, 2 to 5" long; sometimes slightly downy. 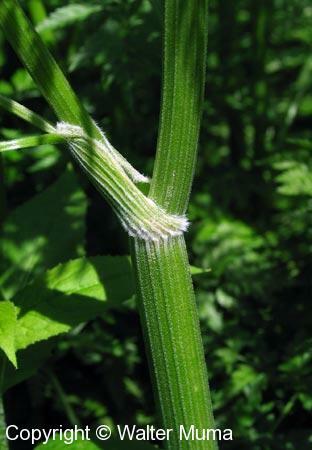 Fruit/Seeds: Covered with velcro-like hairs which stick to clothing and fur, thus dispersing the seed. Status: Very invasive alien; common. Notes: If you spot this plant just starting to grow in an area, remove it at once! If left to itself it may take over the area entirely. Photographs: 74 photographs available, of which 10 are featured on this page. SCROLL DOWN FOR PHOTOGRAPHS. 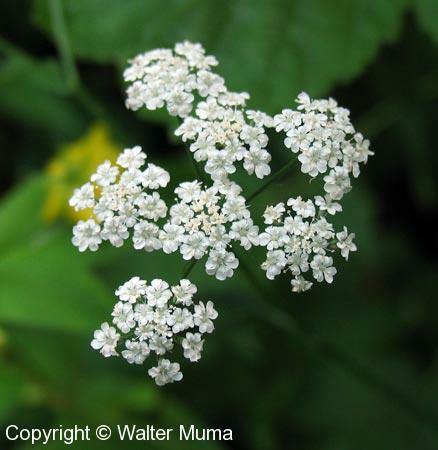 The flower umbel. This is fairly typical of plants belonging to the Parsley Family. Top view of the flower umbel of Japanese Hedge Parsley. Closeup view of one of the flower clusters from the above photo. Japanese Hedge Parsley rapidly takes over an area. This is a very invasive non-native plant. Another example of how it takes over.